Albion in Greenwich is a family friendly pub. The pub serves food, it has a pool table. Albion has a big screen. The pub has BT Sport, it shows football on TV. Albion has Sky Sports. 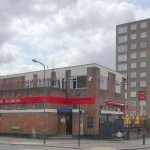 Albion in Croydon shows football on TV. The pub has Sky Sports, it has terrestrial TV. Alexandra in Bromley has a function room that can be booked. The pub has an outside area, it has a dart board. Alexandra has a pool table. The pub shows football on TV, it has Sky Sports. Alexandra has terrestrial TV. 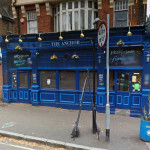 Situated on one of the most historical reaches of the Thames, the Anchor lays claim to fascinating, and somewhat gruesome historical associations. Ancient Foresters in Southwark has an outside area. The pub has a smoking area, it has free WiFi. Ancient Foresters has a dart board. The pub has a pool table, it has a big screen. Ancient Foresters shows football on TV. The pub has Sky Sports, it has terrestrial TV. Angerstein in Greenwich has accommodation. The pub has a beer garden, it has a car park. Angerstein is a family friendly pub. The pub serves food, it has an outside area. Angerstein has a smoking area. The pub has free WiFi, it has a big screen. Angerstein shows football on TV. The pub has Sky Sports, it has terrestrial TV. Barge Pole in Bexley has a beer garden. The pub has an outside area, it has a dart board. Barge Pole has DJ's. The pub has karaoke, it has a big screen. Barge Pole shows football on TV. The pub has Sky Sports, it has terrestrial TV. 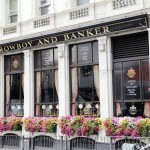 With its high ceilings, large windows and an impressive sweeping staircase, the Barrowboy & Banker pub in London Bridge offers a grand welcome. There's no pretention here though - simply good food, great beer and a brilliantly friendly atmosphere. Beehive in Southwark has a dart board. The pub has a pool table, it has a big screen. Beehive shows football on TV. The pub has Sky Sports, it has terrestrial TV. 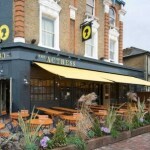 Beehive in Lambeth has an outside area. The pub has a smoking area, it has free WiFi. Beehive shows football on TV. The pub has Sky Sports, it has terrestrial TV. Bell in Lewisham has a beer garden. The pub has a car park, it has an outside area. Bell has a smoking area. The pub has a dart board, it has a pool table. Bell shows football on TV. The pub has Sky Sports, it has terrestrial TV. 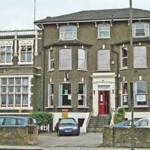 Bellingham Ex Servicemans in Lewisham has a function room that can be booked. The pub has an outside area, it has a dart board. Bellingham Ex Servicemans has DJ's. The pub has karaoke, it has live music events. Bellingham Ex Servicemans has a pool table. The pub has a big screen, it shows football on TV. Bellingham Ex Servicemans has Sky Sports. The pub has terrestrial TV. Belushi's in Greenwich has accommodation. The pub has aircon, it is a family friendly pub. Belushi's serves food. The pub has an outside area, it serves real ale. Belushi's has a smoking area. The pub has free WiFi, it shows live comedy. Belushi's has live music events. The pub holds Poker Nights, it holds quiz nights. Belushi's has a big screen. The pub shows football on TV, it has Sky Sports. Belushi's has terrestrial TV. 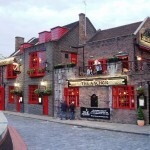 Belushi's London Bridge in Southwark has accommodation. The pub holds quiz nights, it has a big screen. Belushi's London Bridge shows football on TV. The pub has Sky Sports, it has terrestrial TV. Birchwood in Greenwich has a car park. The pub is a family friendly pub, it has a function room that can be booked. Birchwood has an outside area. The pub has a smoking area, it has free WiFi. Birchwood has a dart board. The pub has a pool table, it has a big screen. Birchwood shows football on TV. The pub has Sky Sports. 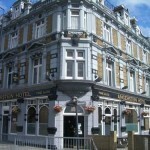 Black Horse in Lewisham has accommodation. The pub has free WiFi, it has a dart board. Black Horse has a pool table. The pub has a big screen, it shows football on TV. Black Horse has Sky Sports. The pub has terrestrial TV. Blackheath Hockey Clb Catford in Lewisham has a beer garden. The pub has a function room that can be booked, it has an outside area. Blackheath Hockey Clb Catford has live music events. The pub holds quiz nights, it has a big screen. Blackheath Hockey Clb Catford shows football on TV. The pub has Sky Sports, it has terrestrial TV. Blackheath Newbridge Working Mans Club in Greenwich has a beer garden. The pub has a function room that can be booked, it has an outside area. Blackheath Newbridge Working Mans Club has a dart board. The pub has DJ's, it has karaoke. Blackheath Newbridge Working Mans Club has live music events. The pub has a pool table, it holds quiz nights. Blackheath Newbridge Working Mans Club has a big screen. The pub shows football on TV, it has Sky Sports. Blackheath Newbridge Working Mans Club has terrestrial TV.